NOTE: Installation is available to the counties of Carlow, Dublin, Kilkenny, Laois, Tipperary, Waterford & Wexford only. These Beko appliances allow you to dry larger loads and the small depth delivers a flush finish with the kitchen cabinets. You can dry up to 20 hand towels in one cycle, saving you more time and energy. This Beko appliance is up to 10% more energy efficient than standard ‘C’ rated models, saving you money on energy bills. 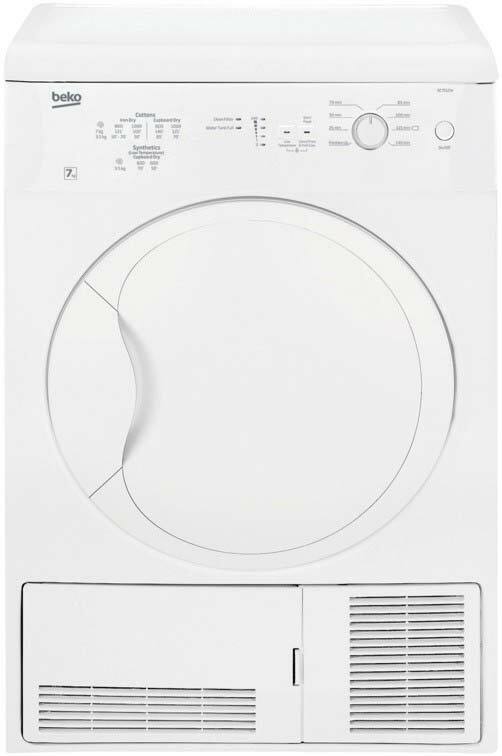 With the Automatic Anti-creasing function the drum rotates every 60 seconds for up to 2 hours after a cycle has finished. The gentle drum action separates the laundry to ensure it remains crease-free until you are ready to take it out. Equipped with an end of cycle buzzer, this clever Beko appliance will signal when the cycle is complete. This option can be deactivated if needed.